Is only using this product on the face, chest or neck. For any other area with suspected acne please visit your GP. Is not using any other creams or emollients on the skin. Is aware that this product may cause bleaching to hair or fabrics and can irritate eyes, mouth and lining of the nose, and agrees to wash hands thoroughly after use. Agrees to read the patient leaflet, and is not hypersensitive to benzoyl peroxide or any of the other ingredients in this product. Unfortunately unless the above criteria is met then this product would not be safe to use. If you still require treatment for acne please contact your GP for an appointment. For more information please visit NHS Acne. Warning: if the above criteria cannot be met or doesn’t apply to the intended user, this product would not be appropriate for use. If you have any queries please contact one of our healthcare team. What is Acnecide 5% Gel? Acnecide is a gel that is used to treat acne by attacking the bacteria that causes the condition. The active ingredient, benzoyl peroxide, works to reduce the effects of acne and allow the skin to return to its natural, smooth state. The products contain Acrylates Copolymer beads, a special technology designed to remove excess oiliness and release Glycerine to hydrate and moisturise the skin. Acnecide 5% Gel is available in 2 formulations. Acnecide 5% Gel - for treating smaller areas such as the face. Acnecide 5% Wash Gel - for treating larger areas such as the back, chest and shoulders. Many customers find that it is a good alternative to similar products such as Quinoderm 10% Cream, Brevoxyl 4% Cream and Panoxyl Aquagel 10% Gel, all of which are also formulated with benozyl peroxide. It's hard to be certain about what causes acne and it varies between individuals. Some factors are genetic, some are linked to hormone levels, stress or nutrition. A common result of these is the increased production of a natural oily substance called sebum which is produced by the body to lubcricate the skin and hair. The increased production can lead to a blockage of the (sebaceous) gland ducts in the pores and hair follicles of your skin and may lead to the development of acne. What is Benzoyl Peroxide and how does it help reduce acne? Benzoyl Peroxide is a medication that works in two main ways. It starts by unclogging skin pores. It also helps stop the bacteria that causes acne from growing and causing acne pimples and cystic lesions. Benzoyl peroxide works as a keratolytic, breaking down keratin in the skin and unblocking the sebaceous glands. This causes the top layer of skin cells to shed, aiding in the removal of blackheads and whiteheads. Unblocking pores can also help inhibit the development of further whiteheads. Benzoyl Peroxide has been shown to attack the Propionibacterium acnes bacteria that causes acne. By reducing the amount of bacteria, benzoyle peroxide is able to reduce the extent of the outbreak. There is also evidence that suggests benzoyle peroxide has an anti inflammatory effect too. Who is Acnecide gel suitable for? An allergic reaction may include a rash or itching. It is not recommended to use this product if you are pregnant or breastfeeding unless advised to by your doctor. There are is very little data on the use of benzoyl peroxide in pregnant women but it has never been associated with impacting natal development. Acneside Wash has been recorded as "should be used by a pregnant woman only if clearly needed." If your doctor has recommended the use of this product whilst breastfeeding, care must be taken to avoid applying the gel to your chest to avoid exposure of your child to this product. Use this medicine as directed by the accompanying leaflet or as your doctor or pharmacist has told you. Note: Acnecide is for EXTERNAL USE ONLY. Acnecide Wash should be used twice daily to cover the affected skin areas. Wet the area to be treated. Wash hands before use and place a small amount of Acnecide Wash on to the hands to wash the affected area. Contact time with the skin should be 1 to 2 minutes followed by thorough rinsing with water and drying. After use, wash hands thoroughly and replace cap tightly. How long you will have to use Acnecide will depend on how quickly your condition improves. After you have used it for one month, you should see your doctor or pharmacist again. He or she can then check the improvement of your condition. You should start treatment with the lower strength product. Provided your skin tolerates the lower strength gel, your doctor or pharmacist may recommend continued treatment with a higher strength gel to further help clear your acne. Acnecide Wash should not come into contact with the eyes, mouth, inner nose. If it enters the eye, wash thoroughly with water. Acnecide Wash should not be applied to damaged skin (e.g. cuts, open wounds). You should try to avoid exposure to strong sunlight while using Acnecide. If exposure is unavoidable, use a suitable sunscreen lotion and apply Acnecide in the evening. Remember to wash the affected area before use. Do not store above 25 degrees and do not freeze. Do not use this medicine after the expiry date which is stated on the tube and carton. Store the closed tube away from direct heat. Does Acnecide 5% Gel (Benzoyl Peroxide) cause any side effects? Like all medicines, this treatment can cause side effects, although not everybody gets them. Acnecide Wash is only absorbed into the body in very small amounts and has little effect, except on the surface of the skin. You may experience the following. A mild burning sensation or redness may be noticed after applying the gel for the first time, often accompanised by moderate peeling of the skin. During the first weeks of treatment a sudden increase in peeling will occur. This is not harmful and will normally subside within a day or two if treatment is temporarily discontinued. If severe irritation occurs, patients should be directed to use the medication less frequently, to temporarily discontinue use or to discontinue use altogether. Excessive applications will not improve results and may increase the risk of skin irritation. Acnecide Wash and similar products are not recommended for long term use because there can be risk of irration to the skin with repeat applications. If your skin becomes severely irritated, or severe redness, itching or peeling of the skin occurs, or you experience face swelling, discontinue use immediately and consult your doctor or pharmacist. Can I buy Benzoyl Peroxide Over the Counter? Yes, you don’t need a prescription to buy at this strength, some doses will require a prescription but this one does not. A pharmacist will need to ensure the treatment is suitable and safe for you. Some over the counter medicines are only allowed to be sold under the supervision of a pharmacist. Benzoyl Peroxide is one of these medicines.  You do not need a prescription for Acnecide Wash Gel, however you will be asked to complete a short medical questionnaire by your Chemist-4-U pharmacist before we can take your order. This includes some simple questions that all pharmacies legally are required to ask before supplying this kind of product. This helps our pharmacy team to be sure that Acnecide Wash Gel is the best choice for you. Does this product work for Cystic acne? Cystic acne happens when this infection goes deep into your skin, creating a red, tender bump that's full of pus. It may hurt or itch. If a cyst bursts, the infection can spread, causing more breakouts. Over-the-counter medicines that work on milder acne often have little effect on cystic acne. A dermatologist will likely recommend different treatments or a combinatio of treatment. Can this be used on the back?